The European Union's unanimous decision on Monday to designate the "military wing" of Hezbollah—Lebanon's "Party of God"—a terrorist group is a step in the right direction. On the positive side of the ledger, the new blacklisting would impose visa bans on individuals and freeze the assets of organizations associated with the group. On the other hand, it does not go far enough. Making a distinction between the so-called military and political wings of the group is a mistake that is bound to stymie efforts to impose meaningful costs on the organization. For years, the United States, Canada, and Israel have called on the EU to declare Hezbollah a terrorist group. And it is for good reason that Hezbollah has earned the title of the "A Team of terrorists." For nearly 20 years, the "Party of God" held the distinction of being responsible for more American deaths than any other terrorist group, prior to September 11, 2001. It began with the October 1983 truck bombing of the Marine barracks in Lebanon, which resulted in the death of 241 U.S. Marines and was accompanied by a similar truck bomb at the French compound that killed 58. In fact, Hezbollah created the modern-day Islamist suicide bomber when in April 1983, it dispatched one of its agents to drive a Chevrolet pickup truck into the front door of the U.S. embassy in Lebanon, killing 63 people. Since then, Hezbollah's acts of terror and global reach and have expanded in both size and scope. From 1982-1992 the terrorist group was responsible for the systematic kidnapping of 96 foreign hostages in Lebanon. In 1985, the "Party of God" hijacked TWA Flight 847 where they shot and killed U.S. Navy diver Robert Dean Stethem, dumping his body onto the tarmac. The list goes on: The 1992 Israeli embassy attack and 1994 bombing of a Jewish cultural center killed 29 and 85 people respectively in Argentina; the 1994 attack against the Israeli embassy in London injured 29 people; the 1996 Khober Towers bombing in Saudi Arabia killed 20 people; the February 2005 bombing of former Lebanese Prime Minister Rafik Hariri killed 22 people in Beirut. All were the handiwork of Hezbollah and none were enough to prompt the EU to label the organization a terrorist group. What appears to have finally led to the EU's new designation were Hezbollah's role in the July 2012 Burgas terror attack that killed five Israeli tourists and a Bulgarian national, and the recent conviction in Cyprus of the Hezbollah operative, Hossam Taleb Yaacoub. The EU's decision was also likely influenced by Hezbollah's entry into Syria's civil war, fighting alongside Iranian forces and on behalf of Bashar al-Assad. Nevertheless, the EU's attempt to draw a distinction between two sides of the same coin is a dubious one. Hezbollah may simultaneously be a powerful political party and the largest militia in Lebanon, Iran's ideological finger in the Levant, a Shia Islam religious and social movement, and a terrorist organization, but its political and military wings are intertwined, striving for the same goals. Over time Hezbollah constructed a social infrastructure and a system of patronage in order to build up popular support for its activities. But the tactic remains a means to an end and in the case of Hezbollah, the goal is the establishment of a Shia theocracy in Lebanon based on the Iranian model, the elimination of the State of Israel, and the eradication of Western influence in the Middle East. As for the different feathers in Hezbollah's wings, in October 2012, Deputy Secretary General Naim Qassem rejected the idea outright: "We don't have a military wing and a political one; we don't have Hezbollah on one hand and the resistance party on the other." The Middle East Media Research Institute catalogs the multiple times various Hezbollah leaders have reaffirmed that there is no distinction between its political and military arms. It is no wonder, then, that Israeli Knesset Minister, Avigdor Liberman, greeted the EU's decision by saying, "Any attempt to portray this organization as one that has an extremist side and a more moderate side is like asking whether a cannibal could be a vegetarian." Europe's decision to categorize different parts of Hezbollah has no basis in the reality in which the terrorist group operates. It will complicate the efforts to implement the freezes and bans that the EU decision purports to entail. The result is that officials will now need to unravel the myriad of links within Hezbollah's organizational network to define who is eligible to be targeted. If Europe's past performances in applying sanctions against Iran or Iraq prior to 2003 are indicative of future successes, then there is little hope any palpable pressure will now be applied given the loopholes inherent in the decision. 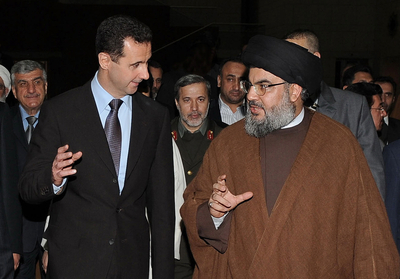 Nor would the punitive punishment they may levy at Hezbollah alter either its decision-making process or its actions. In the end, the designation may only serve as recognition among the lowest common denominator of European states that there exists a problem.